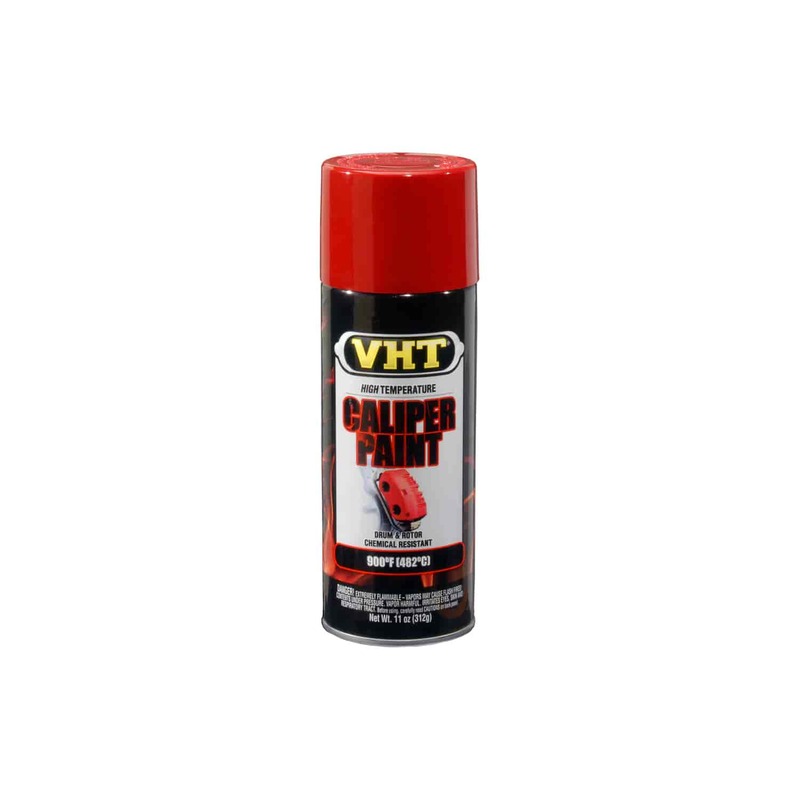 Duplicolor BCP100 - Brake Caliper Paint Gloss Red Aerosol 12 oz. For maximum adhesion, start with a clean, dry surface. If surface is glossy or rusty, scuff with steel wool or similar pad. To protect from overspray, cover and tape off wheel wells, lugs, floor, and other surrounding areas you do not want painted. However, overspray can be removed with mineral spirits immediately after paint application while surface is still wet. Shake can for a full 2 minutes after the agitator ball begins to rattle. Repeat for 10 seconds after each 5 minutes of use. Spray a thin, even coat approximately 8" to 10" away from surface (or experiment with the distance to achieve desired finish). Repeat within 10 to 15 minutes until desired color is achieved. For maximum protection, spray a final coat 5" to 6" away from surface (be careful to avoid running). Depending on humidity, paint dries to the touch in 15 to 25 minutes (air dries overnight). For increased heat and chemical resistance, apply heat within 7 days. Curing may also be accomplished due to the inherent heat of operation or in a proper oven. SP731 is rated 5.0 out of 5 by 1. 3M Products 03192 - All Purpose Tack Cloth 17" x 36"